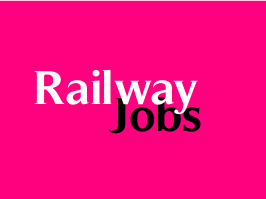 Railway Recruitment Cell (RRC), North Eastern Railway (NER), Gorakhpur (Uttar Pradesh) invites applications from outstanding Sports Persons for recruitment of Group 'C' and Group 'D' posts against Sports Quota for the Year 2015-16. The closing date for receipt of applications is 23rd November 2015. Vacancy Games: Kabaddi (Men), Hockey (Men), Cricket (Men), Weight Lifting (Women), Basket Ball (Men), Wrestling Free Style (Men), Athletics (Women), Volleyball (Men), Handball (Men), Hockey (Women), Football (Men), Handball (Women). (a) For the post having GP ₹ 1800/- : Pass in Matriculation or ITT or its equivalent. (b) For the post having GP ₹ 1900 & 2000 : Pass in 10+2 Equivalent or higher education. (c) For the post having GP ₹ 2400 (Technical) : Pass 10 + 2 stage in Higher Secondary in Science i.e. Maths or Physics or equivalent. (d) For the post having GP ₹ 2800 : A university Degree or its equivalent. ₹ 2800 / 2400 : Represented the Country in Olympic Games (Category-A) OR at least 3- Position in any of the Category-B Championships / events. ₹ 2000 / 1900 : Represented the Country in any of the Category-B Championship / events. ₹ 1800 : Represented the Country in any of the Category-C Championship events. Examination Fee: The candidates have to send a crossed Indian Postal Order drawn in favour of Senior Personnel officer RRC, North Eastern Railway, paybale at Gorakhpur. No fee for All Women Candidates, SC / ST / Muslims / Christians / Sikhs / Buddhists / Zorastrians (Parsis). How To Apply: Application as per the format enclosed at annexure 'A' shall be submitted on A-4 size good quality paper. The application format should be in English or Hindi language only and should be filled in English or Hindi only. The application should be filled in by the candidate in his/her own handwriting and signed. The candidate has to affix one recent passport size photograph duly self attested on the application in the space provided for the purpose. Candidate is also advised to attach one extra passport size self attested photograph along with the application. Application complete in all respects should be sent by ordinary post only in a cover addressed to SENIOR PERSONNEL OFFICER / RRC, NORTH EASTERN RAILWAY, CCM ANNEXE BUILDING RAILWAY ROAD NO. 14, GORAKHPUR-273012 so as to reach on are before last date. Application may also be dropped in the box kept in the RRC/NER Gorakhpur's Office, on any working day (Monday to Friday) between 09:30 hrs to 18:00 hrs on or before 23/11/2015 up to 18:00 Hours (For residents of Andaman & Nicobar, Lakshdweep Islands Last Date will be 08/12/2015 up to 18:00 Hours). Candidates belonging to Andaman, Nicobar & Lakshadwecp Islands should enclose a domicile certificate of Andaman, Nicobar & Lakshadweep Islands from and appropriate authority of the Andaman, Nicobar Administration or a certificate from a school or college last attended in Andaman. Nicobar & Lakshadwecp certifying that the candidate has passed his/her examination from the school/college situated in Andaman, Nicobar & Lakshadweep. The cover containing (The application should be super scribed as "Application against Sports quota 2015-16 (Open Advertisement Scheme)".